Tying a good knot is one of the easiest things to neglect, which often ends in regret. Tying a bad knot will result in heartbreak most of the time, while tying a good one will give you peace of mind when fighting a lunker. There are a few knot tying basics that I believe every fisherman needs to follow. First, regardless of the knot you tie, I highly encourage one to wet the line/knot with a bit of saliva before cinching it down. Cinching a knot down can result in line burn if it's not properly lubricated ... this is especially true with fluorocarbon. When cinching a knot, I'll cinch down until I feel what might be described as a click or a pop. Lastly, I'll check the line above the knot to make sure it hasn't been frayed or burnt in the process. If I believe my knot checks out, I'll get to fishing. However, if I feel the knot wasn't tied properly, I will retie. It might take another minute or so, but I'd rather have the peace of mind that I've got a good strong knot. Don't learn the hard way and lose a trophy fish because of a bad knot. 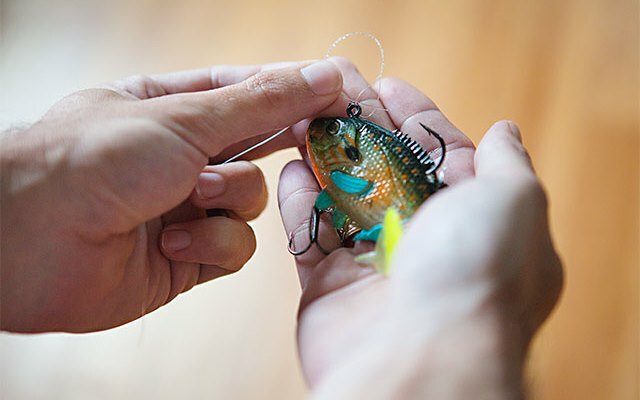 Follow some of these pointers to help you land the fish of a life time.